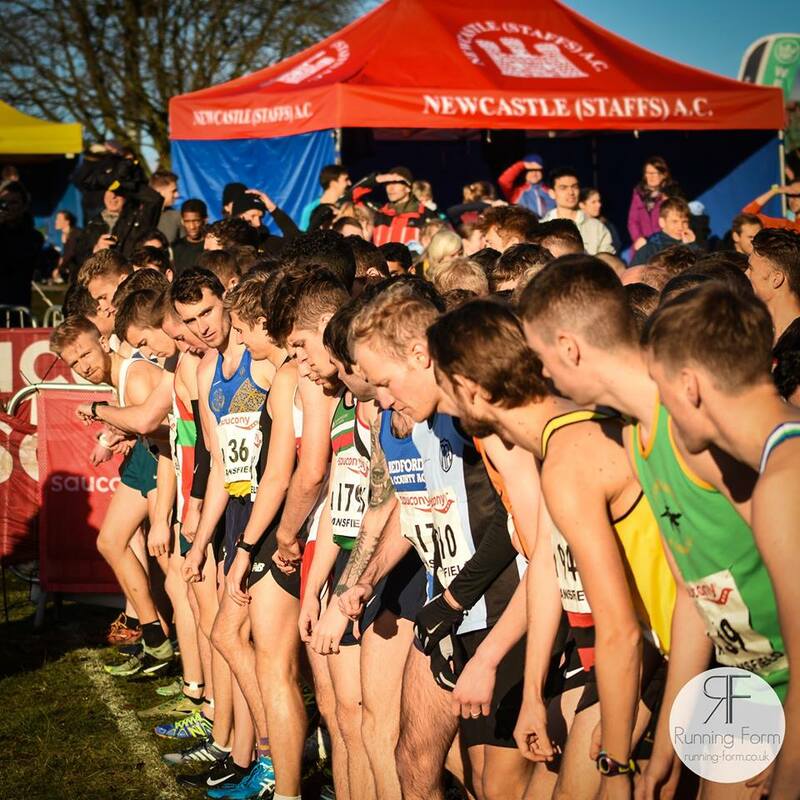 The annual English National Cross Country Relays took place on Saturday 3rd November at the usual Berry Hill Park in Mansfield. ECH had several teams competing against the best runners and teams in the country. The under 13 boys event consisted of 3 runners running a distance of 2K each. The A team finished a brilliant 16th place overall with excellent performances from Luke Carrington (7.17), James McGraw (7.35) and James Harney (7.36). The B team also performed well finishing 70th overall with good performances coming from Edward Rankin (8.02), Sam Lomas (8.22) and Cole Wright (8.36). The C team had just 2 runners taking part with good runs from Cillian Mulcahy (8.22) and Zach Conboy (8.57). Megan Lewis ran the first leg in the under 17 women’s race running a time of 9.33 over the 2.5K distance. The junior men’s event consisted of 3 runners covering 3K each. Mussie Kassa came home in a magnificent 4th place on the first leg (5th fastest leg of the day) with a time of 8.37. Haile Abraham ran a time of 9.53 on the second leg with George Lewis running 9.24 on the final leg to bring the team home in 24th place.